12 entries categorized "Towns | New Lebanon"
The Chatham Courier has an eye-opening account of a recent trip to New Lebanon by Robert Freeman, head of the New York State Committee on Open Government. As he has all over the State, Freeman was invited to give a run-down on how New York’s laws are intended to guarantee open meetings and freedom of access to public documents via FOIL. Missing from the well-attended meeting? Town Supervisor Michael Benson, who similarly missed some 70% of his County Airport Committee meetings. One infers from the account by reporter Katie Kocijanski that there have been many complaints in New Leb about Benson’s willingness to comply with the spirit, if not the letter, of these long-standing laws. Kinder Morgan Energy Partners, L.P., intends to add a new and larger gas pipeline through northern Columbia County as part of a Northeast Expansion Project. So far the proposal to expand Tennessee Gas Pipeline has received only cursory attention from the local media and public officials, even as neighbors in a nearby county have started organizing their responses. According to revised maps issued without fanfare by the company, the pipeline would follow existing rights-of-way through Chatham, New Lebanon and Canaan. The route (depicted above) is not set in stone, according to some reports, but would run roughly midway between I-90 and Route 20. The company projects that construction would begin in April 2017. The project is understood by some, including supporters, as a boost to the fracking industry. Industry trade publications have gushed about the possibility. In February, Capital New York reported that “The pipeline would mark a significant expansion of fracked gas to the Boston region,” while indicating that some use of eminent domain to obtain additional land for the expanded pipeline. Each board member received a letter from the Tennessee Gas Pipeline Company concerning an expansion project. The letter provided an overview of the project, stating that approximately 250 miles of new pipeline would be installed. “The pipeline was all new to us. I’m thinking our current approach is to follow along with developments on the proposed expansion project and see what transpires,” DeGroodt later stated. The board plans to get more information about the project and will remain informed in terms of what impact this will have on the town. Even less prominently, the Columbia Paper included only a bland, one-paragraph note at the very end of a long report on the same meeting. By contrast, a story in today’s Berkshire Eagle by Clarence Fanto reports on citizen concerns in Richmond and Lenox, and indicates that Berskhire officials are monitoring the proposal closely. A group called No Fracked Gas in Mass has put up an extensive website detailing its goals, including the overall reduction of reliance on fossil fuels. The pipeline’s Route 66 Compressor Station (#254) in Chatham near Riders Mills was the subject of a 50-year PCB cleanup project which ended in 2012. No response has been received as of press time to an inquiry sent Monday morning to Kinder Morgan p.r. rep Allen Fore, asking about the status of the project, the extent of the work which it would entail, and what contacts the company has had with officials in our area. Residents with questions might want to try contacting Mr. Fore directly as well, by phone at (630) 725-3044 or by email. New Lebanon Supervisor Michael Benson missed 70% of Airport Committee meetings, but now expects to dictate the Committee’s decision. Six Columbia County Supervisors were appointed last Fall to a new Airport Committee. Months of intense debate and research finally produced a compromise solution for the Ghent facility, slightly reducing the runway’s length while reducing costs to address potential hazards. The Columbia Paper editorialized last week that the so-called Porreca Plan presented “relevant facts, precise goals and a reasonable, affordable plan for making the airport safer.” Even Richmor president Mahlon Richards favors the plan. But now, the Committee member with the worst attendance record is trying to re-wage the County Airport battle, well after it has reached the mopping-up stage. An eighth private meeting was also held with the FAA in November, with all Committee members in attendance—except, reportedly, Benson. DPW chief David Robinson and County economic development czar Ken Flood are included in this chart, though they were not official committee members. Yet their attendance still exceeded that of Benson, who has not uttered a word in public on the topic since a less-than-stellar performance on December 11th. In his single previous appearance, Benson called for the Committee to enter a secret Executive Session. At an informational session held on the 12th of this month for the Committee to brief the full Board of Supervisors, Benson made and appearance, but declined to comment when asked to do so. But this lack of attendance and public silence has not stopped the New Lebanon Super (and BCI construction boss) from trying at the last minute to derail the outcome behind the scenes. Nor has a potential conflict-of-interest caused Benson to recuse himself from the deliberations, or given him qualms about trying to shut down the Airport Committee prematurely. In a January 29th email to the Committee, Benson boasted that his firm has “worked with C&S ... on multiple projects.” C&S is the County’s controversial consulting firm which has reaped hundreds of thousands of dollars of fees, as it has encouraged the constant expansion of the airport. Like Benson, C&S representative Chris Brubach has bent over backward to argue against the Porreca Plan in favor of more expensive options. Most recently, an 11th-hour proposal from Meadowgreens owner Carmen Nero to the Airport Committee, aimed at throwing a monkey wrench into a planned vote on the Porreca Plan, curiously was addressed to Benson rather than the Committee’s chair, Bassin. Benson’s lack of participation in the Committee’s detailed deliberations has not deterred him from charging others with ignorance, and using fear tactics to try to cow fellow Supervisors into submission. I truly hope that there is a presence (on the committee) or otherwise that realizes; in any possible scenario, there is a need for additional easements and/or land to the north of the airport. I believe that there is. Not dealing with this reality would be a significant mistake and will ultimately be very embarrassing for the County and those caught up in the denial of that very simple fact. Unless I am missing something (and please tell me if I am) this is a reality that there doesn’t currently seem to be a plan for? Yes, Supervisor Benson “missed something.” He missed over 70% of the Airport Committee’s meetings. Benson had the time and energy to raise spurious complaints about the Committee’s email cc: lists, but not so much for showing up. Had he been present more often, he would know that many issues about the number, location and cost of known and potential aviation easements were debated at length, over several meetings. Likewise, the way in which such easements could shift, depending on which plan gets chosen, was another frequent topic of discussion—at meetings Benson skipped. For the record, Patti Matheney, Michael Schrom, Kevin Delahanty, and Ken Dow were primarily responsible for bringing easementissues to the fore -- in spite of much obstruction by the County Attorney’s office in releasing the paperwork which fleshed the issue out. For example, Bassin’s notes for the 12/27 meeting, read as follows. In short, not only was the issue “raised” by Benson an old one, it is one whose exploration revealed that the Porreca Plan would be significantly less complicated and cheaper than Benson’s apparent goal of a spendthrift purchase from CN Productions. Benson’s Sunday email also discloses that he will be absent yet again from this afternoon’s 3 pm meeting of the Airport Committee at 401 State Street. Last Wednesday’s meeting of the Columbia County Board of Supervisors’ airport committee played out a bit like an episode of the ’80s sitcom Benson, only with the lead character eliciting groans and retorts, instead of canned applause and laughter. As if following a TV script, the New Lebanon Supervisor of the same name did his utmost to assist the Richmor “household.” But in the end even his apparent “boss” Mahlon Richards spurned his help. The committee’s work would seem primed for comedic misunderstandings, if only because of the confusing names of its members. Out of five appointees, there are two guys named Art, two named Mike, and three with similar last names: Bassin, Benson, Benvenuto. The studio audience may be forgiven if they have some trouble keeping the players straight. At the end of a tumultuous 90 minutes, Mike Benson finally backed off his threat to motion for an executive session, and to end the committee’s deliberations. For a moment, it looked like peace might reign again. Unfortunately, the reasons for the construction-magnate-turned politico’s decision seemed to arise from a calculation that he did not (yet) have enough votes to steamroll the process. So there was no neat resolution of any comedic malentendu. The meeting was standing room only, with at least 45 members of the public crammed into the first floor conference room at 401 State Street in Hudson. Attired in an off-the-rack suit and power tie (and for some reason repeatedly leaning down to tie and retie his leather shoes), Benson came spoiling for a fight. But he was immediately deflated by the absence of both County engineer David Robinson and economic development tsar Ken Flood, whom he seemed to have been counting on for backup. FAA: Over and over, Benson applied pressure for a decision by asserting that the Federal Aviation Administration had “required” or “mandated” that the County acquire the land for a safety zone. Each time, either a fellow committee member, or a member of the audience, or the County attorney reminded him that the FAA’s suggestions regarding the safety zone were only just that—suggestions. He was reminded of the Committee’s letters and meetings in which the FAA acknowledged that expansion was just one of several options. At one point, almost the entire room burst out correcting Benson’s fifth or sixth attempt to portray his preferred option as a requirement. INSURANCE: Stymied on the FAA front, Benson tried a fear tactic instead. Raising the horrendous possibility of an accident at the airport—maybe that very night!—he argued that if the land were not taken from Nero right away, the County’s insurance would not cover it. Calling upon County attorney Rob Fitzsimmons to back him up, Benson did not get the answer he expected: Fitzsimmons indicated that their policy is adequate. CONTRACT: Already seeming exasperated, Benson turned to yet another line of argument. The County, he said, had a contractual obligation to Richmor Aviation to take the eminent domain action. Feeling on solid ground, he read out a portion of the contract which he thought would justify this position, though the actual text was ambiguous. Unfortunately for the hapless Benson, he was again on quicksand: a member of the audience had read the entire contract, and read out the very next paragraph—which clearly stated that the County had the right to do as it saw fit, and modify the contract when necessary. That fuller reading was again supported by Fitzsimmons. This attendee then asked Richards (who sat stoically throughout the meeting, answering briefly in tones much softer than Benson’s) whether Richmor had any problem with the contract or the County’s delivery of services. Again Benson interjected several times as if to speak on Richards’ behalf. But when the Richmor chief finally got a chance to speak, he said that he had no problem with the contract, no intention of suing the County, and was satisfied with the relationship. Benson seemed chagrined, yet still undaunted in making an adversarial case against his own side’s defense (that of the County) in favor of a position for a theoretical plaintiff (Richmor) who evinced no interest in pursuing his theoretical dispute. TIMING: Throughout, Benson also tried to suggest that time was of the essence, believing that the County could not risk of deliberating a moment longer. But committee chair Art Bassin noted that even if they voted to move ahead on Benson’s motion right away, the eminent domain and construction process for expanding the zone would take a very long time, maybe 3 years. The only “quick” option, Bassin reminded him, was the one Benson likes least— that of immediately shortening the runway from 5,350 to 4,500 feet, obviating the need for seizing more land on the north end. It was also pointed out from the audience that the County had been aware of the FAA’s gentle suggestion since 2001, yet had not taken any action to prevent what Benson portrayed as a virtual emergency. The lack of urgency over the past 12 years, coupled with the assurances on insurance and timing, severely undercut this fourth Benson line of attack. PROPERTY RIGHTS: Benson furthermore attempted to position himself as a champion of property rights and the freedom of business to do whatever it wants. The effort seemed limited to one business, which happens to be a renter not a property owner. “No one here is a bigger defender of property rights than me,” Benson thundered, all but thumping his chest. However, Michael Schrom of Ghent pointed out that there were at least a dozen neighboring residents and business people (including himself) in addition to Carmen Nero whose property would have to be seized to enact Benson’s preferred plan. Where, then, was his concern for those people’s and businesses’ rights? Benson could offer no coherent explanation. It was also pointed out (by this attendee) that the dozen other impacted neighbors’ parcels had been specified in a County-commissioned report for tree removal and clearing. Nevertheless, none of those neighbrs apppear to have ever been contacted by the County to alert them about government’s plans for their private land. Benson soldiered on, again coming to the unsolicited defense of Richmor and its business interests as paramount. But again, a voice emanated from the audience to chop the legs out from under this phalanx. A local mechanic and pilot who formely worked for Richmor related his experience trying to do business at the airport, describing how he was squeezed out and prevented from setting up his own operation there. If this were all about promoting activity at the airport, why had healthy competition or complementary business been so consistently discouraged in favor of one company? OPTIONS: Greenport Supervisor John Porreca tried to turn the debate in a constructive direction by presenting a new alternative: shortening the runway slightly on the North end, while lengthening it to the South. The Porreca solution would result in only a slightly shorter runway (5,000 feet), and would not require the eminent domain against Nero the north, as the County already owns land to the South. The rest of the Committee seemed eager to analyze this alongside the other two options; but Benson seemed fit to be tied, viewing this less as a positive new idea and more as a threat to his promised motion. Yet again, Richards undercut his would-be advocate in saying that he thought the idea was promising and something Richmor could probably live with. In this context, there was also extensive back-and-forth about the number and type of planes taking off an landing at the airport. As the committee and the public started to drill down on Richmor’s claims, it became more apparent that the number of jets which would be adversely affected by a shortened runway were surpassingly small. Indeed, the main concern according to Richards was his company’s preference for taking off fully loaded, so that it could buy more fuel from itself and less from other vendors. No dollar figure was put on this added cost. But it hardly seemed to justify a public expenditure of as much as $13 million for upgrades which would follow the six-figure eminent domain process. As the meeting drew to a close, Ghent supervisor-elect Mike Benvenuto sought to calm the churned-up waters, sensing a growing consensus that the Committee now had a wider range of options and a better idea of what research was needed to complete. Bassin felt that analysis could be completed in a matter of months, not years, and would if anything result in a speedier resolution than jumping straight to eminent domain. This brief moment of harmony, so much like warm-n-fuzzy final minute of a Benson episode, was spoiled by New Lebanon’s Supervisor. Asked if he wished to make his motion after all that, Benson hemmed and hawed. Then, causing audible exasperation among the audience, he proceeded to reiterate all the arguments that had just been thoroughly discredited. As if having not heard any of the previous discussion, Benson returned to all of his original talking points: The FAA is requiring it; the County has an insurance risk; the County is in breach of contract; the Committee has no more time to spare; Richmor’s property rights and business interests must come first. This prompted howls of protest that all of these had already been raised and debunked. Without acknowledging that he had heard any of the prior debate, Benson did seem to have wised up to one thing: that he did not have the votes to carry his motion that day. Of the five present, only commitee member David Crawford (an engineer, who spent much of the meeting whispering to Benson while others spoke), seemed at all likely to agree to end the discussion and move it to the full Board. So Benson instead retreated to a plea that the Committee needs to come to a decision “soon,” to which Bassin again replied that he did not think more than a couple of more months would be necessary to arrive at a sound recommendation. The incipient harmony was then smashed again with further discord from Benson, who unexpectedly tore into an unnamed citizen for making what he believed were intemperate or even slanderous remarks in an email. Resident Patti Matheney countered that as a public official, Benson had standards of decency to adhere to himself, and wondered aloud if he were prepared for his own emails to be read out at a future meeting. This attendee inquired whether the County had a policy governing the private use of government-issued email accounts, which Fitzsimmons indicated it did. The next meeting is scheduled for Friday, December 27th (time and venue TBD) at which Michael Schrom is expected to make a presentation based on the results of the Freedom of Information Law request he made with another resident, Kevin Delahanty. Last week was a big one for Columbia County politicians to back down from indefensible, controversial positions. The reversal came as a huge surprise to many. Andrews herself had signed and pushed for the tendentious complaint against Chess, with the unanimous support of Preusser, Cashen and the two GOP members. Allies and foes of Chess alike expected that despite the thinness of the case against him (plus the evaporation of the Town’s attorney almost immediately after a less-than-impressive Star Chamberish prosecution), the Board would again vote unanimously for removal. What explains the change of mind? One would like to think that the three came around due to the (lack of) evidence and the obviously subjective nature of the complaint. Chess made a strong, concise case the Town Code did not support the allegations. And as the intensely personal of the dispute came into focus at last Fall’s hearing dragged on for several excruciating hours, the ongoing prosecution seemed to become a costly embarrassment for all involved. One would like to think that this was a case of cooler heads prevailing. But given the pettiness of what preceded the final outcome (including the non-hanging offense of Planning Board meetings “not being fun anymore”), the change from a 5-0 to 2-3 vote likely derived from less noble sentiments. As Supervisor, Andrews had bent over backwards to ingratiate herself to the Claverack Republicans—much too far backwards for many Democrats’ taste. She became a huge booster of the Pine Haven nursing home boondoggle-in-the-making, a pet cause of Tea Party elements such as Albert Wassenhove. She refused to take a courageous stand on key issues which crept into Claverack from neighboring Ghent, such as the TCI fire, or the County airport expansion. Likewise, in her failed attempt to vault from one-term Supervisor to the State legislature, Andrews opposed common sense gun regulations just before the Sandy Hook tragedy, and opposed increasing the State minimum wage. In this context, the changed votes look less like listening to reason, than a departing middle finger to the GOP: We played nice and knuckled under to the GOP agenda for four years, but didn’t get any credit. So here’s something for you Republicans to remember us by. (Chess’s term runs through 2016.) Had Andrews shown that spirit earlier, galvanizing her base rather than demoralizing it, she might be getting sworn back in on January 1st, 2014. The second instance of backing down last week came from New Lebanon Supervisor Mike Benson, who grudgingly declined to make his threatened motion to suspend the County Airport Committee’s work before it had begun. Like the end of the Chess game in Claverack, Benson’s retreat seemed based more in calculation than reason: by the end of last Wednesday’s standing-room-only meeting, he must have realized he did not have the votes to carry such a motion. But unlike the Claverack situation, one did not get the sense that Benson had heard the public’s concerns, or recognized any error in his ways, and so his push to use eminent domain against Carmen Nero may well come back at a future meeting. A more detailed run-down of Wednesday’s illuminating airport meeting will follow in the next day or two. New Lebanon Supervisor Michael Benson appears to be having a bit of trouble adjusting to the world of public governance—perhaps being more used to running his own private show as a construction magnate. Last week, Benson was exposed for trying to close down the County’s newly-formed airport committee before it gets a headwind behind it. In a widely-circulated email, Benson not only sought to end the committee’s fact-finding mission, but do do so in a secret executive session. (According to New Lebanon sources, Benson routinely takes his Town Board into Executive Session, regardless of whether the topic qualifies for such secrecy under State Law.) Committee chair has sent concerned residents email assurances that its work will continue. Following that counterproductive episode, Benson tried a new tactic to distract from the substantive work of the committee. Showing little interest in anything pertaining to actual airport operations, Benson trained his sites on a much more important meta-question: the airport committee’s email list. Who was on the cc: list, he demanded to know over the weekend—and why? 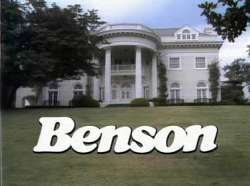 Benson chose to lead off his tirade about this vital matter with an example that blew up in his face. “I see Cindy Hall’s name, but I don’t see Greg Fingar’s name,” Benson thundered, referring respectively to the County Democratic and Republican chairs—in an apparent effort to imply that Bassin had some partisan agenda in forming the email list. In other words: Benson was whining about Fingar being left out—but Bassin had gone out of his way to try to include Fingar, but he refused to be included in the discussion. Oops. Sometimes what is allowed in private business just doesn’t translate to public debate. The Columbia County Board of Supervisors has taken over a decade—more than 120 months—to get around to addressing alleged safety issues with the County airport in Ghent. But apparently even a single month of research and public participation is too much for one Republican supervisor to bear. In a typo-filled email sent early this morning to the newly-formed airport committee, Benson calls for a secret session to end debate after just two meetings. He then goes on to vent his spleen at unnamed “groups” who have attended meetings, and to argue Richmor Aviation’s case against that of the County itself. His demand would appear to be illegal under the State’s Open Meetings law. That law only allows a limited number of specific reasons for going into executive session, a practice often abused by local and County agencies. Not satisfied with ending the conversation before the committee has completed its tasks—which Benson did not object to when they were set forth—he then proceeds to become Richmor’s advocate against the public, and even against the County’s own legal interests. Clear statements have been made by the public at meetings that no one wants to shut down the airport; indeed, attendees have expressed support for the continued operation by Richmor at existing, manageable levels. At an earlier information session, Hudson 5th Ward supervisor Rick Scalera called for a show of hands of anyone who wanted the airport shut down; no hands were raised. (Perhaps Benson missed that meeting.) Richmor’s owner Maylon Richards himself has publicly claimed that he does not wish or expect to expand operations. Nevertheless, Benson throws a tantrum on behalf of “Richmore”—the airport operator whose interests he’s decided to champion, but whose name he cannot be bothered to spell correctly. Bassin’s agenda for the upcoming meeting includes a list of yet-to-be-settled questions for Richmor to address as part of the committee’s ongoing research into options to bring the airport into compliance. “We need to move on to many other issues,” Benson concludes, without specifying either what issues he deems more pressing, or why he believes his fellow Supervisors are incapable of dealing with more than one issue at a time. In a polite and sober reponse, Bassin agrees to put Benson’s motion on the agenda, but points out that such a decision should not be taken in executive session. More importantly, Bassin asserts that the only way to move forward speedily and cost-efficiently on the runway issues is to shorten it, rather than expanding it. Bassin’s full reply is below. I think its premature to decide this now, but I am happy to put this issue on the Agenda for Wednesday. We should have this discussion in open session, not executive session. If we wanted to make a decision or recommendation next week, common sense and logic would suggest we recommend shortening the runway to 4500 feet. That decision would immediately put us in compliance with the FAA safety zone guidelines & standards, eliminate any insurance risk, and not have any impact on the Richmor business. And we can continue to explore the logic and rationale for expanding the safety zone as has been proposed. If we were to do this, one runway will still be 5350 feet with a 1000 foot safety zone, and the other would be 4500 feet, with a 1000 foot safety zone. And the FAA has told us that the 4500 foot runway can still accommodate class C and D jets as long as they are not "fully loaded". It is unlikely anyone will be flying into or out of the airport "fully loaded". Not shortening the runway immediately leaves us exposed us to being out of compliance with the FAA guidelines & standards and to possible insurance risks for another 3 years. This seems like an unnecessary set of risks to continue to take. I think we all share your concern for Richmor, and I am looking forward to hearing how they feel about this set of issues. I suspect there may be investments in the airport that would be more valuable to Richmor's business than adding a 1000 foot safety zone by buying the adjacent land...like additional hangar space or an ILS. And I am not sure what the need to rush is...we have been working on this for 10 years already...another couple of months is not going to matter. Even if we decide to recommend that we immediately shorten the runway to 4500 feet to immediately comply with the FAA's safety zone guidelines and standards, we can still explore the benefit and logic supporting buying the adjacent land and adding the 1000 safety zone. If we can make that case, we can always implement that plan down the road. Changing of the GOP guard? Greg Fingar may vacate the Columbia County Republican chairman’s seat, and New Lebanon Supervisor Michael Benson may covet his seat cushion, according to three separate (and ideologically-distinct) sources. Fingar remains in the position for the moment, according to a fourth source familiar with the situation. It is not clear whether Fingar would step down voluntarily, or is coming under pressure to do so. In addition to serving as the New Leb Supervisor, Benson is president of BCI, one of the Capital Region’s largest and most influential construction firms. The company is known for its uncanny knack for winning bidding wars on public projects, and has done extensive work for government within the County. For example, BCI completed renovations for the Chatham Central School District, and also construction on the City of Hudson’s new wastewater treatment plant. In addition, BCI built A. Colarusso & Sons’ corporate offices, suggesting that if elevated to Republican chair, Benson perhaps would be sympathetic to mining interests which have been the source of some local controversy in the past. Earlier this year, a small controversy erupted after nearly 30 underage students were arrested in relation to a drinking party at a New Lebanon home while the parents were traveling. Initial State Police reports didn’t disclose the party details. But it eventually leaked out that it took place at the Bensons’ home—becoming the subject of reports in the Times-Union and elsewhere—after the Town Justice had to recuse herself. Benson contributed $250 to lobbyist, County powerbroker and former Assembly Minority Leader John Faso’s political action committee in 2001, and has donated similar amounts in the past two years to the Columbia County Republican Committee and Conservative Party. In November 2011, he donated $5,000 the State Republican Committee. All of these donations were made via BCI’s Loudonville Road address in Albany. BCI Construction itself has donated a total of $17,890 to various political candidates over the past decade, according to New York State campaign finance records. Most of these donations were to Republicans, but a few were to Democrats in places such as Albany and New York City where the politics are heavily Democratic. Though not necessarily over yet, Fingar’s tenure was colored early on by the intense controversy surrounding his party’s heavyhanded 2009 attempt to disenfrancise absentee voters in the hotly-contested Congressional race between Scott Murphy and Jim Tedisco. At the time, Fingar and Faso joined forces to sic lawyers John Ciampoli Jim Walsh (plus a gumshoe private detective) on second home owners who had legally cast absentee ballots. More recent primaries have brought to light various fissures among factions of the County GOP, which usually presents a monolithic front. The ballot fracas, which was decided strongly in favor of the voters by fellow Republican judge John Nichols, focused heavily on the small Town of Taghkanic. Their challenges appeared to be backed in part by donations from racetrack developer Alan Wilzig—whose chef and manager Eric Tyree was on the ballot. Funds for the disenfranchisement effort came in part from the County Republican Housekeeping fund (to which Wilzig and a corporation he controlled had donated), a type of political action committee which is not supposed to be used for such purposes according to New York State election law. At the time, numerous residents who were longtime customers of Fingar Insurance decamped to other insurers in protest, after noticing one of its key partners’ involvement. Ironically, the company’s Columbia County Chamber of Commerce blurb touted its work helping to insure second homes.